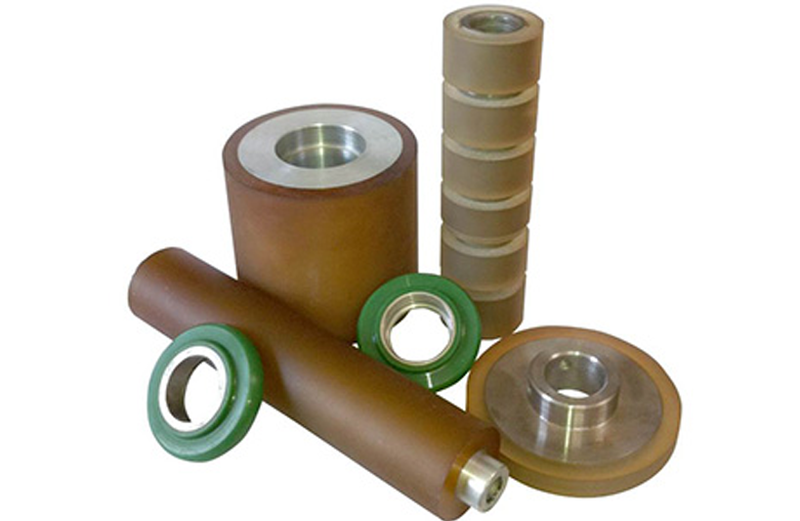 We recover rollers in a wide range of Polyurethane hardnesses and formulations in applications from small rollers on business machines to large production line rollers in many industries including printing, packaging, engineering, electronics and construction. Our extensive Polyurethane turning and grinding facilities enable us to grind the roller coverings to the finest tolerances on diameter and concentricity. We can also offer the facility to manufacture and repair rollers in our engineering shop. This gives us the opportunity to provide a one stop shop approach to roller manufacture, covering and refurbishment.